No matter whether you need to paint the exterior walls of your house, garden furniture, deck, drainpipes or any other area, Real Painters in Westminster will be happy to do it for you with utmost care and meticulous attention to detail. 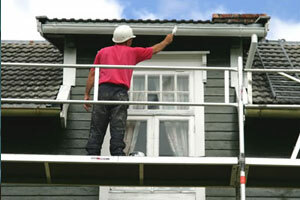 Our professional painters will give your exterior surfaces a completely new look and add value to your property. So you need to have your façade painted by real professionals in Westminster, simply reach Real Painters on 020 3026 9530 and arrange a visit from us. Our skillful specialists are available from Monday to Friday (from 8 am to 7 pm) to come and discuss your exterior painting needs, and offer the most suitable solution for you.